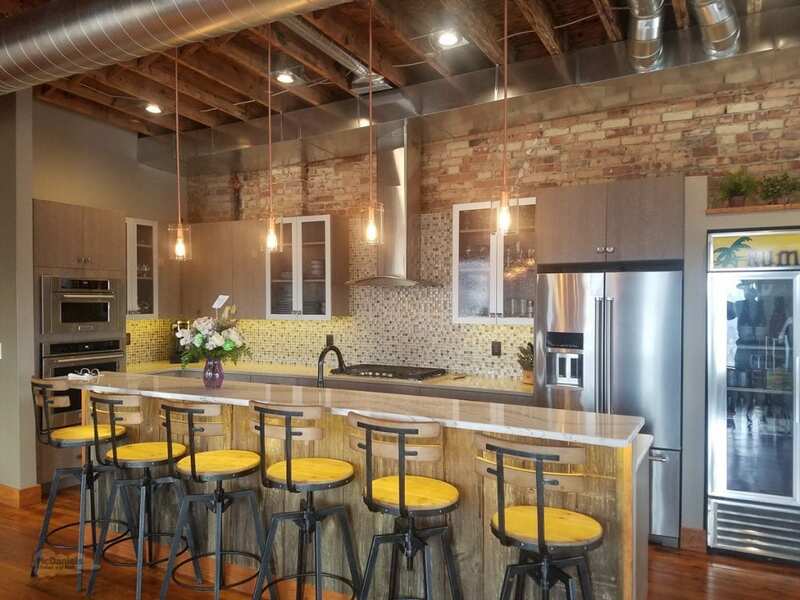 Kitchen Designs Perfect for Entertaining in Your Lansing Area Home! As we enter the holiday season our thoughts turn to spending time with others and hosting gatherings in the home. While you might sometimes wish for Downton-Abbey style entertaining, the reality of hosting parties in your kitchen needn’t be daunting. Having the right kitchen design and equipment make the difference between a stressful and enjoyable event. Here are our top 10 kitchen design tips to have you ready to throw your doors open this holiday season. There are very good reasons why open plan kitchens are so popular. As the hub of the home and the center of every party, an open plan kitchen design allows guests to move easily between entertainment, food, and living areas, and allows you to be involved in everything as you host. It’s important to plan where guests can sit. Spread it around so there are seats at a table and surrounding your island, as well as cozier options in adjoining entertainment areas. If it’s a large party bring in extra seating but make sure it doesn’t obstruct the flow of traffic. 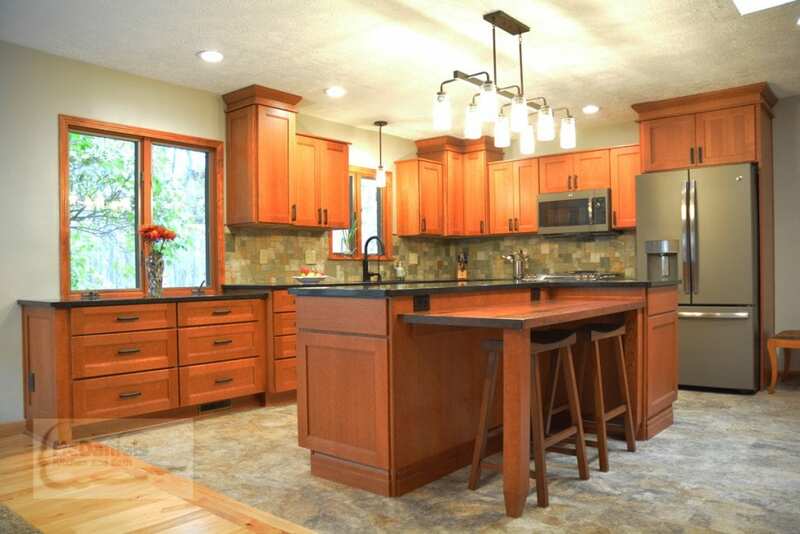 Including an island in your kitchen remodel reaps many rewards. It is both a design and social focal point and gives you extra storage and worktop space. Where your kids do their homework by day transforms into the heart of the party as you prepare food and enjoy the company of the guests around you. All gatherings are better with music. Built-in docking and charging stations let you play your favorite playlists through speakers in your kitchen remodel. If it’s New Year’s Eve or a ball game, then watch proceedings on a flat screen tv mounted on your wall. You can also play home movies, music videos, or silent movies during a large party. Just because it’s cold doesn’t mean you can’t extend the party to outside. If your kitchen design opens out onto a deck or your backyard install a couple of outdoor heaters and speakers, hang festive lights and arrange candles. Supply seating and blankets and your guests can enjoy a moonlit paradise adjoining your kitchen. Don’t let a smaller kitchen deter you from hosting festivities. It’s simply a case of planning what you need and what you’d like to do with the space you have. With effective kitchen design, anything is possible. Bespoke kitchen cabinets with customized storage accessories and clever shelving can store a multitude of items and free up space for you and your guests. There is a world of multi-functional appliances out there to suit your needs. When designing a kitchen for entertaining, think about how you host gatherings. 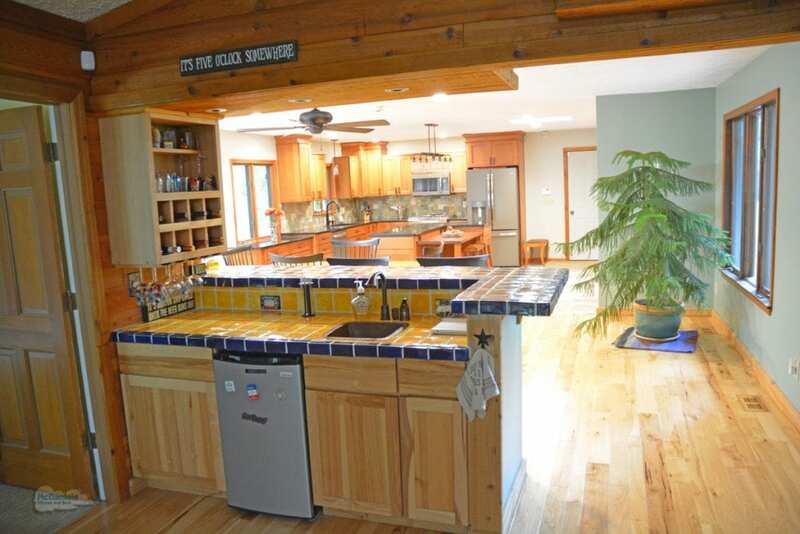 Why not get two dishwashers or an undercounter refrigerator dedicated to beverages? Go for a professional oven or range if you do all the cooking and baking. 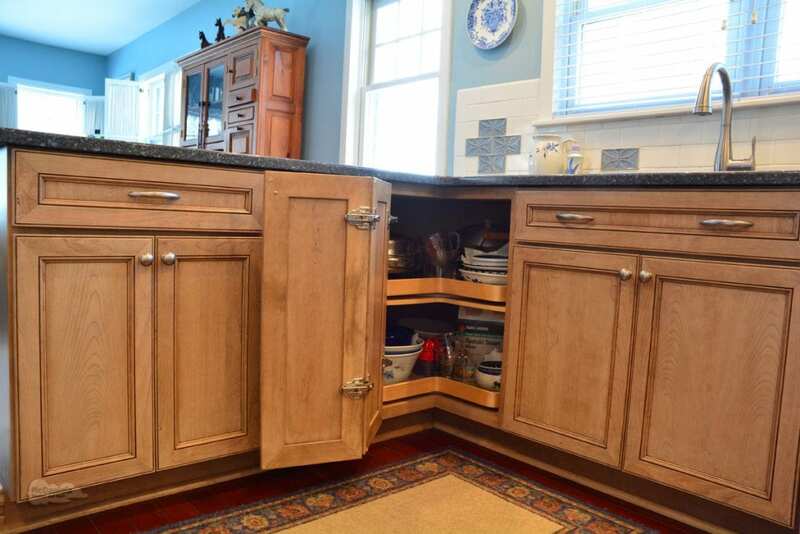 With a busy household, these will all be invaluable additions to your kitchen remodel. Don’t forget about the small appliances you use frequently during the holidays, like a stand mixer for baking. Add special storage inserts so you will always know where to find these items when you need them. As with music, lighting is important for atmosphere when entertaining. This is where multi-layered lighting design really comes into play. Prepare and cook food under bright task lighting and then use dimmer switches or smartphone-controlled lighting systems to adjust lighting levels throughout your kitchen design. 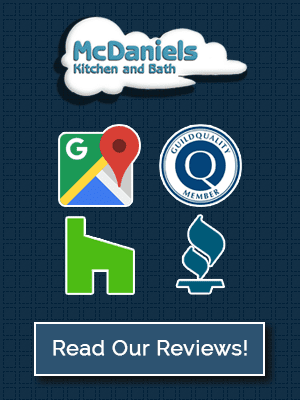 Make the most of smart technology in your kitchen remodel. Order party supplies through an Amazon Dash button and then let a smart fridge magnet restock for you after the event. During the party you can time ovens, lighting and room temperature with your phone via smart plugs. When everyone has gone home, set your iRobot cube to vacuum and steam clean your floors while you put your feet up. 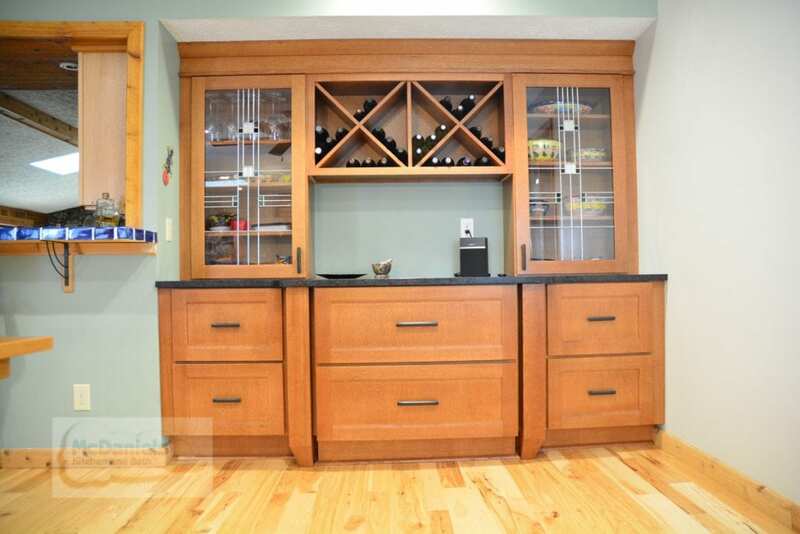 Beverage bars are excellent additions to any kitchen design, especially when it comes to entertaining. 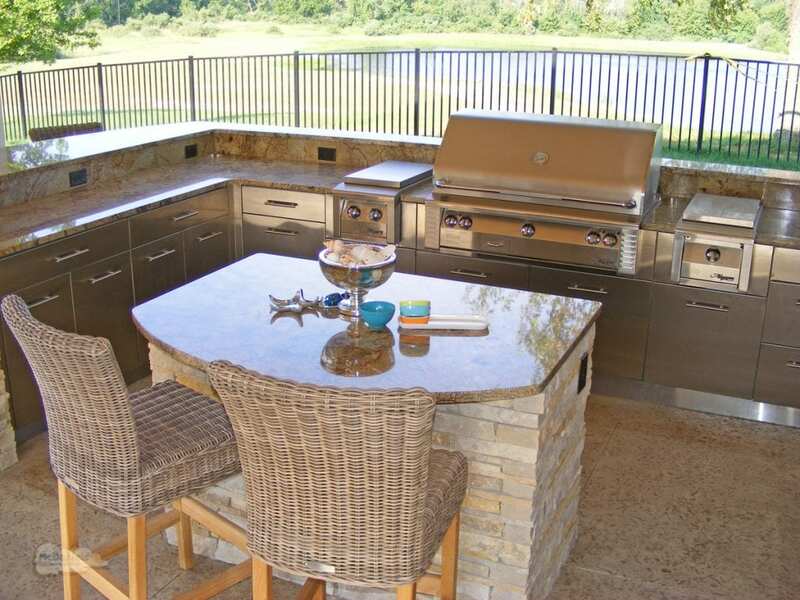 They provide a dedicated area for drinks, away from food preparation. You can store glasses and bottles, chill wine in a mini fridge or make after-dinner coffee. Guests will be able to look after themselves with even the most basic of beverage bars and you can go as large as you want with a full, dedicated beverage bar, depending on the size of your kitchen design. Relax and look forward to the holidays. With a little planning and reorganization, even the smallest kitchen can host the best parties. It’s all down to clever design. Check out our kitchen design gallery for more ideas or contact our kitchen design experts today to plan your ideal kitchen.